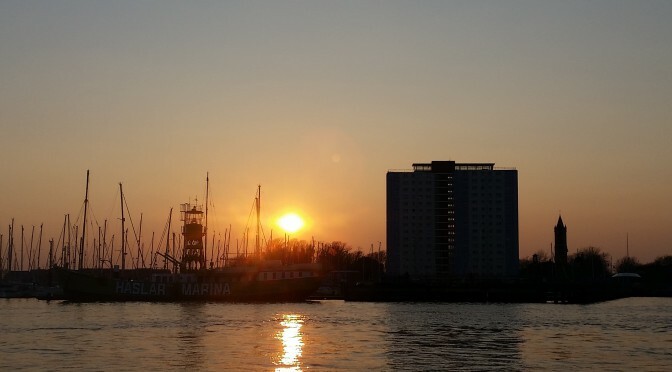 It’s been 2½ years since I took my Yachtmaster Coastal and I felt ready to move on to the offshore qualification. Last time, I made the conscious decision to take it in unfamiliar waters so as to force me to be thorough in checking out the local hazards. I knew that the focus of the Offshore assessment was much more about fully rounded sailing/skippering proficiency and so I opted for the convenience of the Solent. I booked a Yachtmaster Offshore Preparation course with Nomad Sailing. 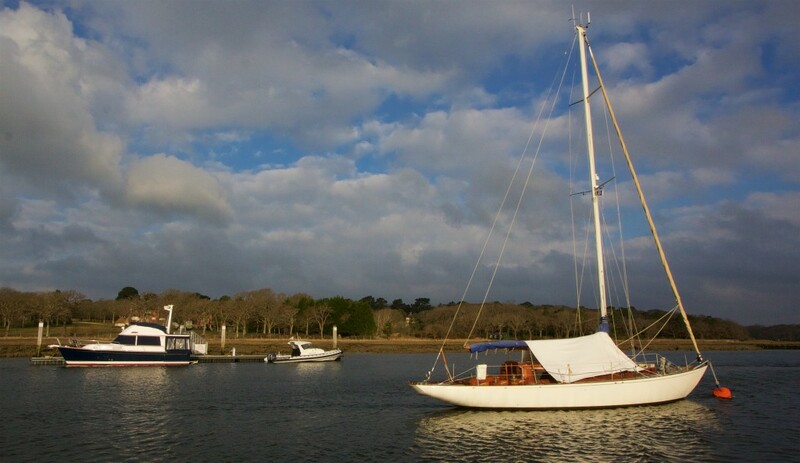 I spent the week brushing up on blind nav, running fixes, sailing on/off pontoons & buoys, man overboards and a night sail into and up the Beaulieu River. 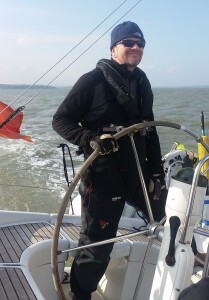 On Thursday lunchtime the examiner came onboard – with over 275,000 sailing miles to his log and a Joint Services sailing career we were on near opposite ends of the experience spectrum. I was a lot less apprehensive than last time, as I knew roughly what to expect and also had considerably more sailing under my belt. We left the pontoon without incident, came alongside again and then made our way up Portsmouth Harbour to run some drills. The wind was fairly light and I made a slow approach to the marked pick up buoy about 10m inside the main channel. We ran aground almost throwing the examiner down the companionway – the depth dropped from 3.5m to 1.6m instantly. In to reverse and with the crew leaning to one side we backed off without drama. Running aground during an exam doesn’t sound great but actually with the buoy well inside the main channel it could happen to anyone and calmly dealing with it for real was a bonus. 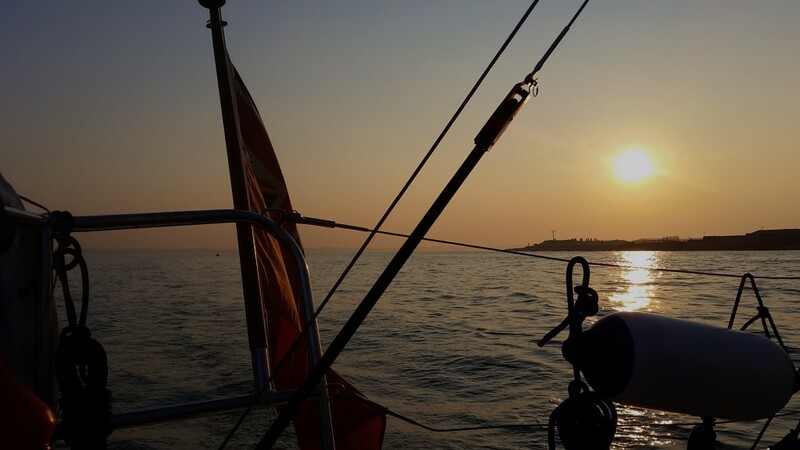 The only time I felt uncomfortable was being required to sail to Bembridge Ledge with a rigid passage plan – I have sailed there so many times it didn’t feel right. Soon the winds died and under engines we simulated being in fog running a course to safety near the Bembridge tidal gauge. We also simulated a call to the Coastguard to prove I knew the correct VHF procedures and then he had me call up another yacht visible on AIS using DSC. I knew how (or rather – that you can) but hadn’t actually done it for real. It’s not difficult but why not simulate a manual call like we did up until the final Send command? On the way back to Warner he threw in a man overboard and then took a different approach after we nabbed it with the boat hook. He wanted to talk through how we’d actually get the victim back on board. A couple of years ago we practised with Solent inshore rescue service and knew we had needed to winch the dummy in using the main halyard. Once on board, he asked a crew to play unconscious and what I’d do having diagnosed hypothermia. He had me organise the remaining crew to actually lower her down the companion way. Although somewhat surreal at the time, his point was to test and show just how tricky it is to deal with a marine casualty. The crew took Nomad 1 over to Stokes Bay while we went through my passage plan (from Portsmouth to St Vaast), weather synoptics, a situational quiz to test Colregs & theory, how to plot a running fix and a thorough run through of how to systematically bleed the air out of a faulty engine. This took the best part of an hour. After anchoring and a cup of tea, he advised that we’d lost the main halyard up the mast and I organised the crew how to recover it. 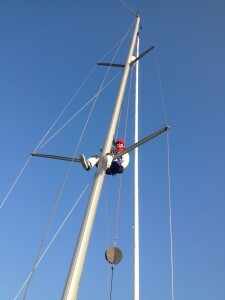 Zenka was volunteered once more to go up the mast and we secured her in the bosun’s chair with two halyards. The final exercise of note, was to set up a route of multiple waypoints on the chart plotter so get us back from Stokes Bay into the harbour via the Inner Swashway and call up instructions to the crew. Later in the evening, he congratulated me on passing and in the de-brief it was clear to me that the largest element of his pass criteria is communicating effectively with the crew. 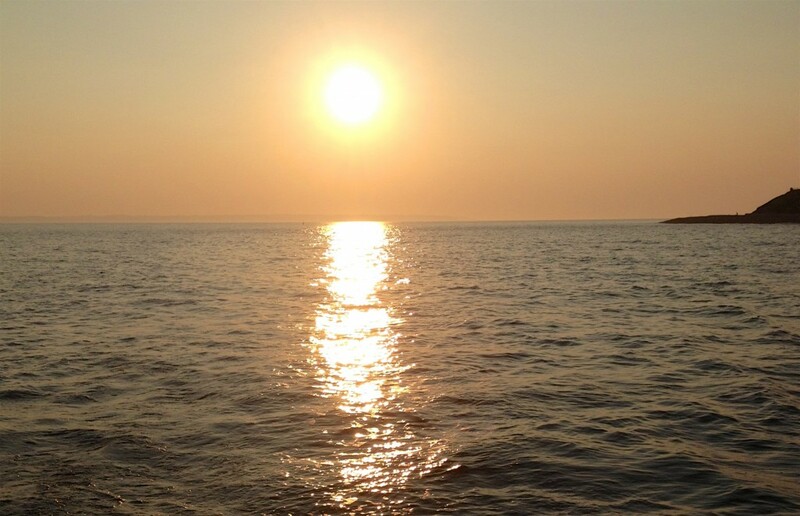 Ensuring the crew have complete faith in you as skipper and instilling confidence by dealing with the unexpected without panicking or appearing flustered is what sets a Yachtmaster Offshore apart (sailing competence is the pre-requisite). Firstly, he was a stickler for the rules (in my case the local Portsmouth Harbour rules such as calling QHM to cross, using the Small Boat Channel, engines on when leaving). Communicating effectively with the crew throughout (unusual circumstances such as having run aground, dealing with the halyard and crew casualty). Finally, ability to make use of onboard systems (chart plotter, VHF, AIS, engine failure).